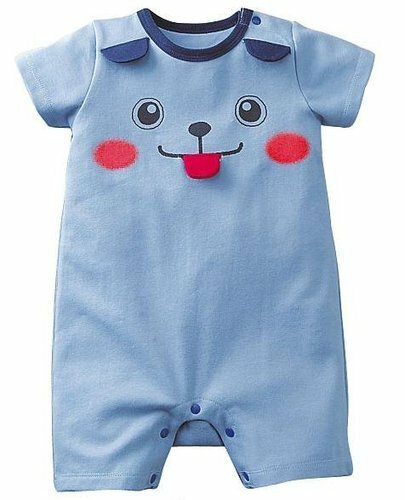 Increasing demand of our Organic Cotton Organic Cotton Baby Clothes has made us appreciable name of the national market. Easy to use these baby cloths offer identifying look to the user in different functions. All may buy all light baby cloths from us in eye catchy appearance and extreme fine stitching. All our cotton baby cloths are praised by users for optimal performance. We, Fair Threads India a Brand of I Wear Me Fashions Private Limited came in market in 2010 to offer best quality Organic Cotton Clothing. We are the well praised Manufacturer, Supplier and Wholesaler of Organic Cotton Mens Clothing, Organic Cotton Womens Clothings, Organic Cotton Baby Clothings, Organic Cotton Kids Clothings, Organic Cotton Yoga Wears, Organic Cotton Canvas Bags, Organic Cotton Knitted Fabrics and Organic Cotton Scarvesand many other eye catch t-shirts. Made with best quality material these t-shirts are appealing in look. Our firm has offered this spectrum in many unique patterns. All t-shirts meet to new fashion of the market and are completely safe to skin of the users. Youths have admired our finely stitched t-shirts for having nice look in shopping and many other social events. Best in quality all these t-shirts are available in market in many sizes and nice printing.